After months of waiting, Defra Secretary Michael Gove finally published the Government’s landmark consultation on the future of farming policy this morning. Abi Kay explains what you need to know. Following the Government’s simplification of Countryside Stewardship for 2018, the consultation promises to go even further in 2019. Ministers are looking at simplifying packages and application forms, as well as expanding online offers and reducing evidence requirements. The consultation proposes the creation of an Animal Health Pathway to tackle endemic disease and drive up animal health standards. The Pathway will be put together in partnership with industry, and at a minimum, will set out a vision for reducing disease, outline a framework for co-operation and provide simple standards against which to benchmark performance. A partnership body will be set up to oversee development and delivery of the Pathway, but there was no detail on what the body might look like or how it would be funded. The consultation proposed piloting schemes which offer targeted payments to farmers who deliver higher welfare outcomes in sectors where animal welfare largely remains at the legislative minimum during the ‘agricultural transition’. The ‘agricultural transition’ is a period after Brexit, length to be determined, which will give farmers time to prepare for new trading relationships and policy. The idea of making payments to farmers who trial a new approach or technology which could improve welfare but is not industry standard was also mooted. The consultation makes four references to providing support for farmers to ‘reduce negative environmental impacts’ as the Government moves towards a ‘more effective application’ of the polluter pays principle. The 25 Year Environment Plan, published in January, made similar references and outlined plans to clamp down on pollution from farms by limiting use of manures, slurries and chemicals. 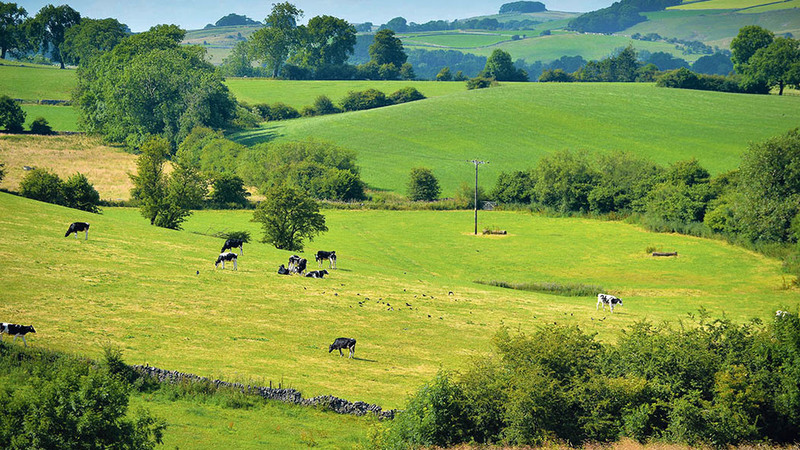 Last month, Nick Barter, deputy director of Defra’s Natural Environment Strategy, told Farmers Guardian he could not say whether the proposals would place an additional burden on farmers in future, but suggested there would be more detail in this consultation. In the event, there was no more information on how use of manures, slurries and chemicals would be limited, or any detail on costs farmers could be expected to bear. Farming Minister George Eustice has previously expressed support for a Canadian-style model of insurance, which he said would ‘naturally reward farmers who are putting money on the line to produce food’. The Canadian system is state-backed, with funds provided by federal, provincial and territorial administrations. But Ministers appear to have rowed back from this support for Government intervention on risk management, with the consultation document saying these approaches ‘distort markets, undermine the need to properly reduce and mitigate risks and do not deliver value for taxpayers’ money’. Instead, there is a vague proposal for Government to facilitate the development of commercial products to smooth volatility and manage risk, with no detail about how this would be done or how farmers would be encouraged to actually use them. Respondents to the consultation are asked to rank the goods by order of importance, raising concerns they could be pitted against each other when budgets are being drawn up. The consultation says any new environmental land management system will be underpinned by natural capital principles, but the consultation contained no detail about the methodology which will be used to put a price on natural capital assets, or how the different public goods set out by Government will be valued and paid for. The Government made clear in the consultation that in the long-term, it intends to reduce food prices for shoppers by opening the UK market up to imports from across the world. It was claimed this trade liberalisation would benefit consumers by offering more choice and ‘strengthen the discipline of competition’ which helps keep food affordable. In one of the most detailed sections of the paper, the Government set out several possible options for reducing direct payments. It put three options on the table: applying ‘progressive reductions’ to payments above £25,000, a cap to payments over £100,000 or applying a different cap or reduction to a higher or lower number of payments. The paper said there was ‘clear evidence’ showing increased productivity on farms would allow them to remain profitable even after all direct payments were withdrawn. Though the consultation acknowledged the best way of improving resilience in the farm sector is to support increases in productivity, there was very little detail about how the Government plans to help boost that productivity. There seemed to be a suggestion that withdrawing direct payments would bring about an increase in productivity in and of itself, with no plan set out for how Ministers will improve or invest in other key drivers of productivity such as education, infrastructure or scientific research. The section on fairness in supply chains was very short, with a heavy focus on Producer Organisations (POs) and what industry can do to share out risk and reward more fairly. There was no more detail on the Government’s thinking beyond measures set out in the recent response to the Groceries Code Adjudicator consultation. Anyone expecting more information on the powers which the devolved regions can expect to exercise post-Brexit will be disappointed. Beyond the usual comments on UK-wide frameworks to support the functioning of the internal market, there was little detail.